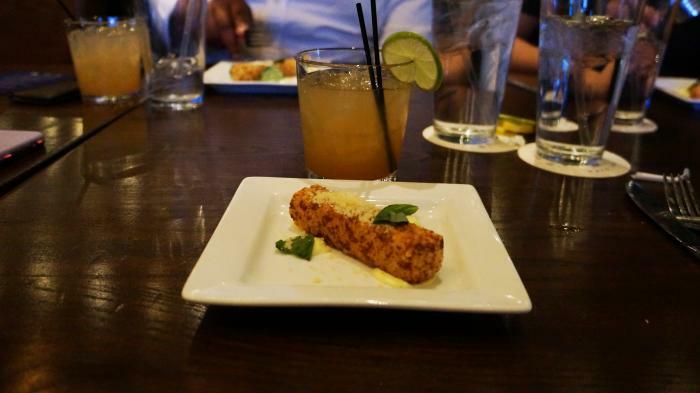 Balcones Whisky Dinner at Troy’s = YES, PLEASE! I don’t know if you’ve heard, but in case you missed it, Texas Live! has been adding a few culinary events on their massive events rolodex. 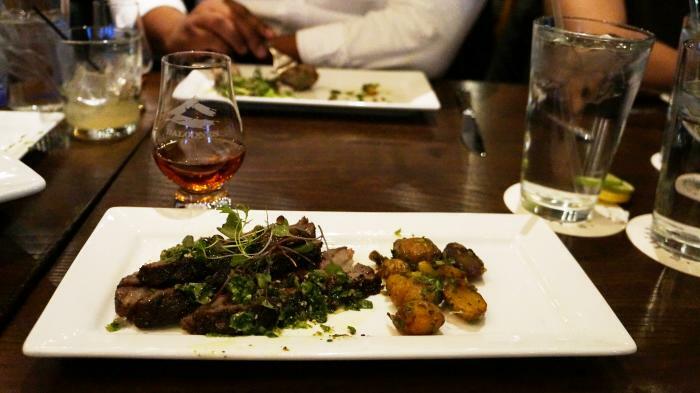 I got to attend Thursday night’s first Balcones Whisky Dinner, and it was the highlight of my week. Full disclosure: I am a foodie hedonist that loves a solid pairing. Girl scout cookies with beer, wine and chef-inspired menus, mustard and ketchup, ying and yang. Cashing in at $85 per ticket, this event is Texas Live! showing its refined side, its equally loveable foodie side – a side that oft gets eclipsed by its playful sports side we all know and love. 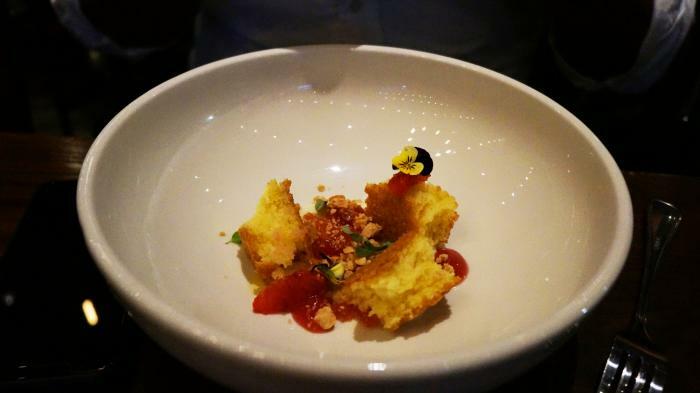 Featuring the culinary creations of Chef Junior Borges, this four-course meal was gone as soon as it hit my peripherals, and let me explain why. The verdict: I could not stop eating this. 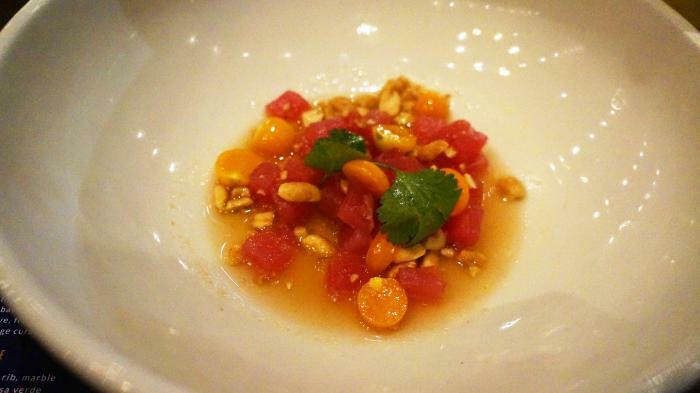 When asked why it was so good, a gentleman at my table said “definitely the gooseberries,” which, if you are unaware, are tiny sour tomato-esque fruits, that paired gorgeously with the lime juice and extremely fresh tuna (to be expected from the chef that opened Uchi). This cocktail, Tha Highball, was my favorite of the night. I don’t usually go for anything straight up, but I don’t like anything too fruity. This drink paired with the fresh (not overwhelming) citrus infusing of the tuna was a delightful light plate and served as a solid introduction to a great night. Immediately following this, it was devoured in less than a minute. The verdict: This cocktail was probably the strongest to me, and thus the hardest to sip on. 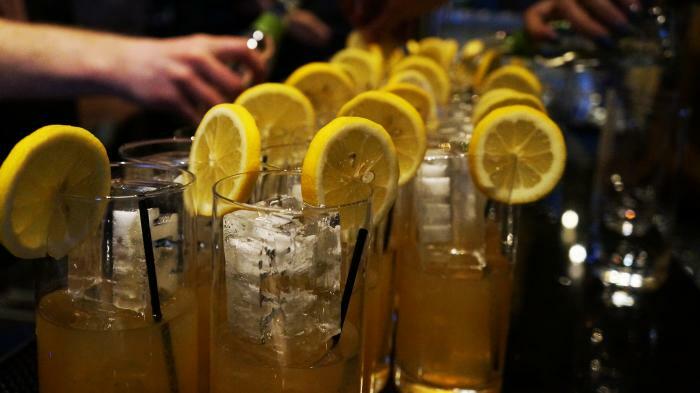 The almond syrup added a sweet nutty flavor to the rye and citrus notes. While I was busy taking pictures of my food like a wild influencer, my seatmates told me I needed to dig in or they’d eat my tater tot, which, like everything else, was disappearing quickly. The use of tapioca was a gluten-free take on a classic, and its texture was everything mixed with that peperoncini aioli and parmesan – say the word “aioli” and I’m sold. It was fantastic. I could have eaten plates and plates of this dish. Please excuse my handy work. The verdict: For the largest course, I would expect nothing less than some Texas beef. Cooked to tender perfection, I’m glad I got a bigger portion – the spicy greens and salsa verde complimented the tenderness and added a nice earthy tone to the piece, with the spicy greens acting like sort of a latin infused pesto. This course was self-serve and family style. The potatoes were lightly crisp and easily poppable in your mouth. Like I said before, I can’t really drink anything neat, so was only able to take a slight sip of the neat single malt, which was refreshingly sippable and easy to do. The portions on this desert were perfect. The bits of cake were moist, rich and only had been partially-saturated by the blood orange that accompanied it. The marjoram, which in some parts of the world is interchangeable with oregano, added a bold tone over the cake and blood orange, but if anything enhanced their already intense flavors in a different, more mature way. This take on a mimosa was really refreshing. I also could not finish this cocktail, but still enjoyed it and could imagine myself drinking one in the remnants of a long weekend celebrating with friends. It’s pairing with the dessert was perfect – dry champagne is great partner with citrus of course, and most sweet treats. Plus, it was served in a champagne flute! I don’t even smoke but I found myself feeling like Jack Nicholson with a cigar puff releasing itself from my lips – this Balcones whisky-infused cigar had almost everyone outside in the “cooler” weather to enjoy it, even if you’re like me and didn’t even get a quarter of the way through. This event was well worth it for the food and drink quality alone. It seemed like the food on the plates all around me quickly, even if I was staging and taking pics of my food. I didn’t know a single soul sitting around me, but I quickly made friends. If Texas Live! plans more of these culinary-inclined events, it would be a great gift for someone special, a possible date night, birthday or celebration of any kind. It shows a softer, more controlled side of higher-end nightlife that Arlington was truly in the market for. As someone who didn’t eat much lunch, I was starving by the 7 pm start time. Not sure if it was a snafu, but the dinner wasn’t served until almost 8 pm, and the event didn’t end til about 10:00 pm. Don’t miss Smoke Camp at Lockhart Smokehouse Arlington next week, January 29 from 6 to 9 pm. Tickets are $110 and include your first drink, an hour of instruction time with Lockhart’s award-winning pit master, Q&A time and full curriculum. 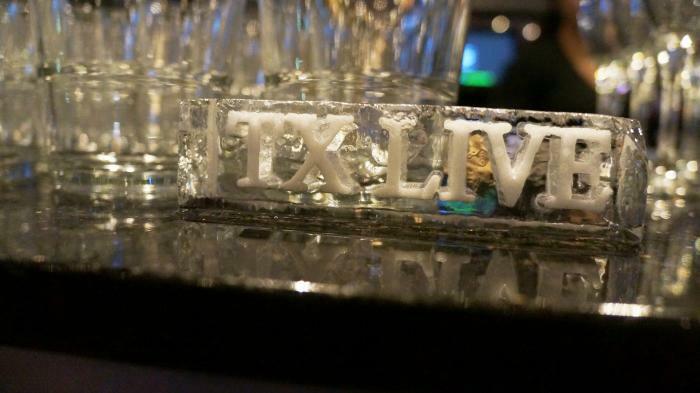 Make sure you follow Texas Live’s event section on their website or Facebook often for new events – they keep a steady stream of fun stuff coming at ‘ya all year long!